Trees are a green, renewable resource and are used for many different things. They provide food, soaps, rubber, furniture, timber products, paper products and much more. Our members practice sustainable forest management. These practices ensure our forests are healthy, diversified and growing. See more info below on Indiana’s forests and their economic impact. 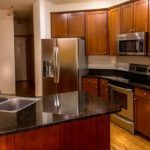 No other resource can match the environmental advantages of wood. 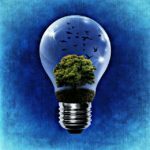 Steel, aluminum, and plastic all are not renewable. Wood is the only natural resource that is renewable, recyclable and biodegradable. The only energy required to grow a tree is the sun, and trees remove carbon dioxide from the air and give off oxygen. Wood manufacturing consumes only 4% of the energy used by all primary industrial raw material manufacturing, while steel and concrete manufacturing consumes 56% (Total wood consumption exceeds the combined consumption of steel and concrete). Wood manufacturing uses the entire log, with waste products going to mulch, animal bedding, fuel and more. While healthy growing trees consume carbon dioxide, dead and dying trees release carbon dioxide. Using mature trees for products like furniture sequesters the carbon dioxide for the life of the product, sometimes hundreds of years. With intrusion from land clearing, industrialization, and urban sprawl, the need for forest management is more important than ever to ensure conservation, habitat diversity, and forest regeneration. Indiana’s forests are verified sustainable by the United States Forest Service and the IDNR Division of Forestry. Our forests are legally harvested, and our loggers utilize Best Management Practices to ensure clean water and aesthetic beauty. State and private foresters practice land stewardship ethics that integrates growing, managing, nurturing, harvesting, and regenerating our forests with the conservation of soil, air, water, biodiversity, recreation, and carbon sequestration. Indiana has 4.9 million acres of forests. This area is larger than Connecticut and Rhode Island combined. Each year, Indiana’s forests grow over 50% faster than what is harvested. The annual growth on Indiana’s forest is equivalent to a band of wood 12 inches high and 12 inches wide encircling the earth 1.1 times at the equator. 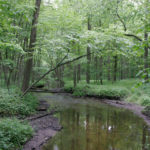 Over 85% of Indiana’s forests are privately owned. 70% of the wildlife found in this region require habitat found in young, developing forests, aided by periodic harvesting. Indiana’ s state-owned forests are certified by the Forest Stewardship Council (FSC) and the Sustainable Forestry Initiative (SFI). 600,000 acres of private forests are enrolled in Indiana’s Classified Forest program. The most common species grown in Indiana are Oak, Hickory, Ash, Maple, Tulip Poplar, Walnut and Cherry. Forestry is Indiana’s largest agricultural industry, in terms of jobs (130,000), wages ($1.2 billion), and impact on the economy ($17 billion). Forest products are Indiana’s 4th largest manufacturing sector. Industry jobs include logging, sawmills, and the manufacturing of veneer and plywood, containers and pallets, kitchen cabinets, home and office furniture, architectural millwork, flooring, windows, doors, and more. Indiana ranks first nationally in the production of: wood office furniture, manufactured homes, kitchen cabinets, wood caskets and coffins, and hardwood plywood products. We rank second in the production of hardwood veneer. 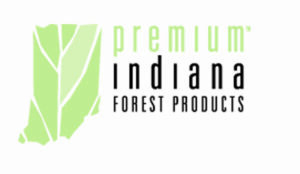 Visit Indiana Forest Products Community for more information on Indiana forest products.